Yesterday the barista at Starbucks gave me some interesting news ... a tall Mocha drink has less caffeine (from that one shot of espresso) than a tall coffee. well according to "The Complete Guide to Starbucks Caffeine" on energyfiend.com it says a tall (12oz) coffee has 260 mg of caffeine, whereas a tall (12oz) flavored Mocha only has 95 mg. The barista was actually right! way to go Starbucks. 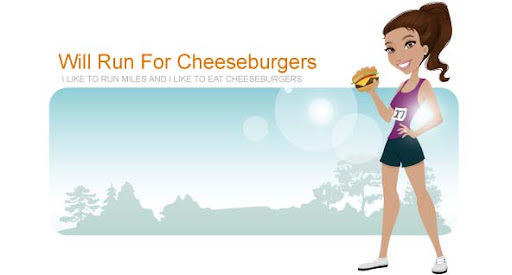 Today I headed to the YMCA during my lunch break to get some running in. I had to wait for a treadmill but finally found an open one after 5 minutes. What's up with people working out at noon? 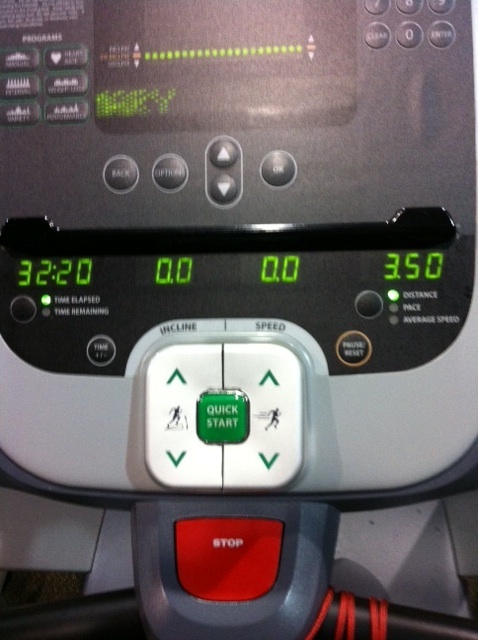 I walked for 1 minute as a warm up, ran for 30 minutes, then walked for 1:20 minutes as a cool down. 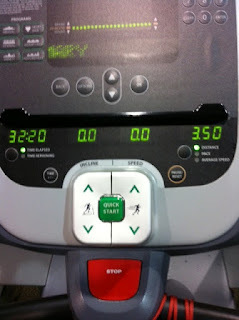 total mileage completed 3.5 miles in 32:20 minutes.